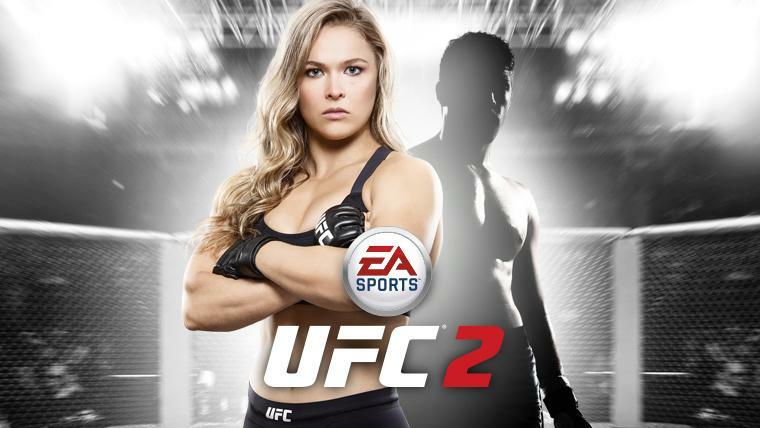 Possibly the most played mode in the family of EA Sports titles will be present at ‘EA Sports UFC 2’ by incorporating only an Ultimate Team and designed specifically for the occasion, although collecting and using cards continue sitting the foundations of the system. Thus, the Ultimate Team ‘UFC 2’ will give us the ability to create up to five characters completely happy with every imaginable detail (from the nickname to tattoos, to the shape of the abdominal or cover teeth) and from there we can buy booster packs that apply to our fighter. The cards are ranked in five levels and with the universal class, we find letters attributes, passive skills, movements, training and even special cards that offer great skill attacks based on the hits of the stars of the octagonal ring. The booster packs are divided into categories and can be purchased with money that will add after each bout. Our team of Ultimate Team will get extra credit through a series of daily challenges and an Ultimate Championship mode and online matches against other players, split up with every advance. ‘EA Sports UFC 2’ will be available on Xbox One and PlayStation 4 as of March 17 .And if you have an Xbox One and do not want to wait that long to pulverize your adversaries or start your collection of letters from Ultimate Team, EA Access users will have an exclusive advance through the game days before launch.